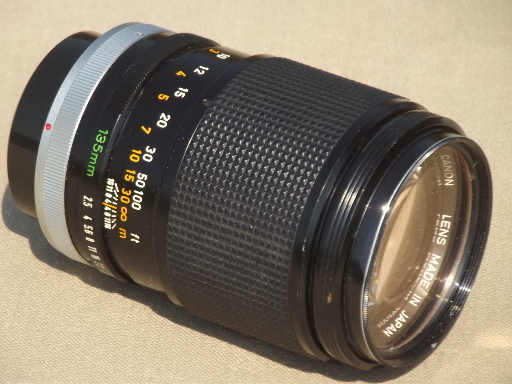 Vintage Canon lens FD 135mm 1:2.5. 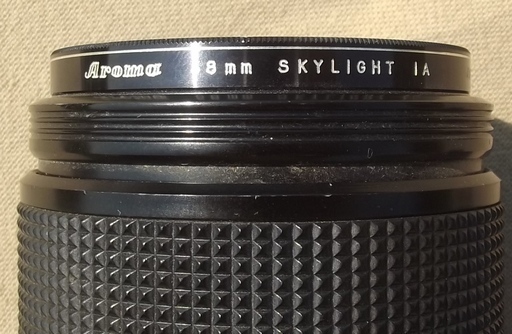 This lens has a Aroma 58mm Skylight IA filter on the end. 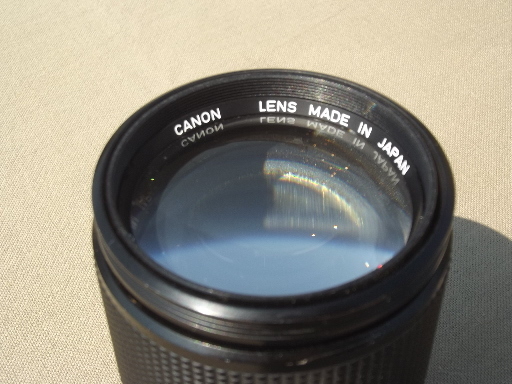 Both the lens and the filter are marked made in Japan. 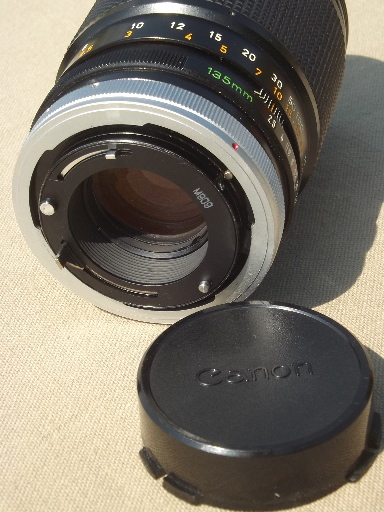 The filter is slightly bent on the outer lip, but screws and unscrews smoothly. 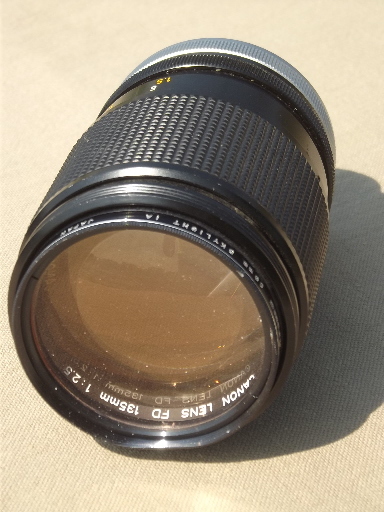 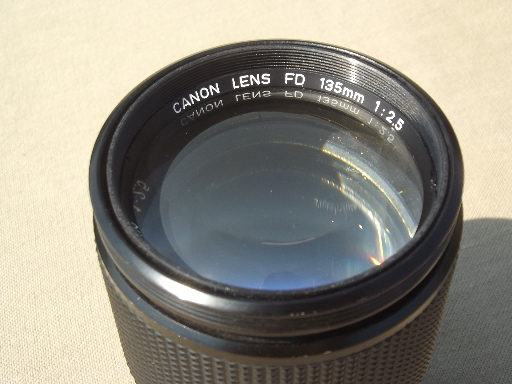 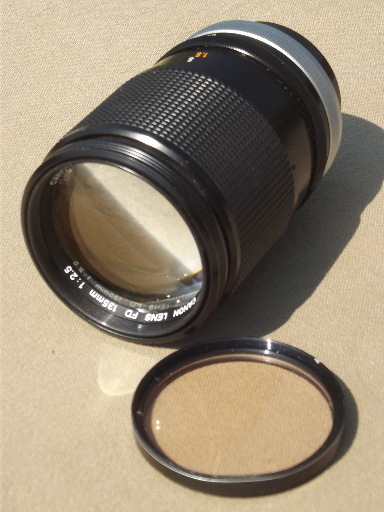 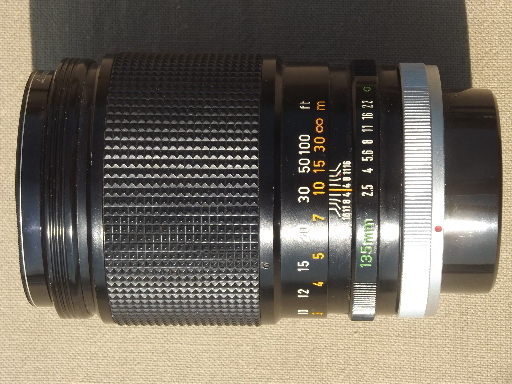 This lens is from the studio of a photographer whose primary camera was a Canon F1, but we&apos;ve been told that this lens will also fit an A1 or AE-1 camera.